Through all the ups and downs of Israel’s history, God is in control and he is revealing his beautiful story. We can trust in him. He is a God of his Word. He is a covenantal God. 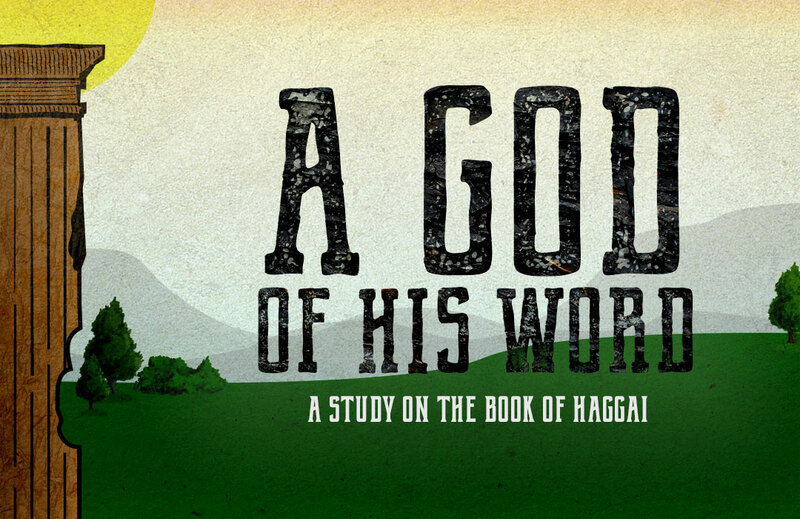 In light of this reality, Haggai challenges and encourages the discouraged people in Jerusalem to examine the way that they were living and to set new priorities that would honor their faithful God. They must remember that God is with them, that he controls their future, that he has a plan to make them holy, and that he will glorify his name among all nations!